There has been an increasing emphasis on wellness, fitness and health amongst Brazilian consumers and the same has further augmented the demand for flavored, hygienic, and clean drinking water. Such a move has led to a substantial rise in the per person consumption of flavored and functional water in Brazil. The Brazil’s flavored and functional water market is prophesized to display a robust rate of growth in the years to come. Such a growth is attributed to the soaring demand for energizing, healthy, and convenient beverages. Changes in the daily lifestyle and diet of the common people have resulted in a substantial increase in the rate of diabetes and obesity in Brazil. In accordance with a study that has been published by Brazil’s Ministry of Health, the country occupies third position in the list of countries with most overweight population. Further, as per the statistics of The International Diabetes Federation, Brazil is forecasted to have very high prevalence of cases of diabetes between the year 2012 and 2030. All of these elements are encouraging Brazilian people to go for healthier dietary options. Such healthier dietary options contain both functional and flavored water in the list. 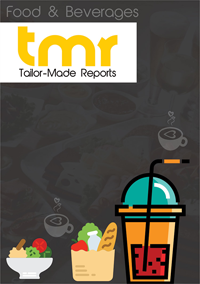 The market for flavored and functional water in Brazil is anticipated to rise at 7.3% CAGR throughout the forecast time period that extends from 2016 to 2024. The market is expected to reach a market valuation of US$9.4 bn by the year 2024 from the market value of US$ 5.0 bn in the year 2015. Going by the segment of ingredients, the category of minerals and vitamins has been prophesized to witness substantial growth during the period of forecast. Such a growth is owing to the increased consciousness about health related advantages coming from minerals and vitamins. Another factor that fuels market growth is augmented consumption of beverages that are vitamin fortified. As such the said category is also anticipated to display robust market growth in terms of volume and value. On the basis of nature, the market for Brazil’s flavored and functional water is divided into non-carbonated and carbonated drinks. The segment of non-carbonated beverage is foreseen to continue with its regional supremacy throughout the period of forecast. Such a growth is owing to the change in consumer preference from high-sugar beverages to zero-calorie yet healthy drinks. There is, however, a flipside of the story too. Caffeine and phosphoric acid laden carbonated water is known to lead to digestive problems. Digestive problems result in heartburn and weight gain. Eventually, the shift of consumers towards healthier yet low-calorie beverages has compelled various companies to emphasize on the manufacturing of functional and flavored water. Taking into consideration geographical segmentation, the Brazilian market for flavored and functional water is divided into north, central west, south, north east, and south east. It is anticipated that south-east of Brazil could account for a comparatively high share of revenue in Brazilian market for flavored and functional water over the timeframe of forecast. This regional segment accounts for around 38.2% of the total market share by the year 2024. Expanding base of human population together with increasing awareness about the advantages of flavored and functional water is foreseen to impact the market positively. The revenue growth of the south east region of the country is expected to be quite positive. Taking value in consideration, the north eastern part of Brazil is expected to rise at a CAGR of 7.8% over the course of the timeframe of forecast. PepsiCo Inc, Hint Water, Suntory Beverage & Food Ltd, Groupe Danone, Mountain Valley Spring Company, Grupo Vichy Catalan, Ambev , The Coca Cola Company, Icelandic Water Holdings ehf, Unicer - Bebidas SA, and CG Roxane, LLC are some of the names that adorn the market for flavoured and functional water.